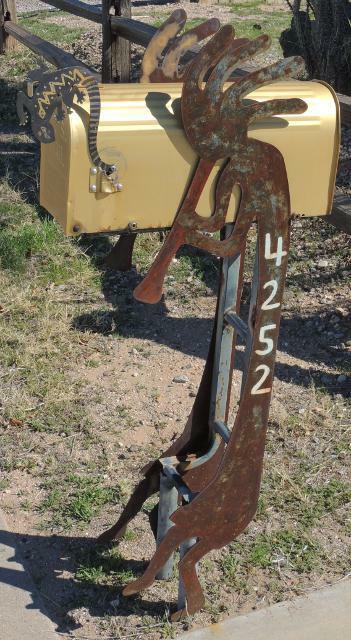 We don't usually show mailboxes with Kokopelli because there are so many of them, but this one was more interesting than most. Check out the flag, too. I took the photo on February 26th.